"You're just one step away from leveraging 3 different wellness strategies in one simple, fast program to have the energy and wellness you had when you were 16, but keeping all your wisdom--Guaranteed"
Ms. Hope had 2 daughters, Ms. Harmony and Ms. Autumn, who always fought with each other. As much as Ms. Hope hoped for them to be friends, it was hard for the two to enjoy any activity together. So, they came to an agreement. Ms. Hope would give them each $500 and allow them to pursue their own wellness activity for the next 30 days. If she sees more transformation in Ms. Autumn than in Ms. Harmony, then Ms. Harmony would pursue the same path as Ms. Autumn and vice-versa. After 30 days Ms. Hope summoned the sisters. Ms. Autumn was excited about her trying a variety of classes all across the city. She had to travel a lot to experience them all and in the process had spent ALL the $500. Ms. Autumn wanted more money to try out a few more classes and got angry when her mother refused to give more money. On the other hand, Ms. Harmony had purchased a digital version of just ONE program called “YogaLaasyam: Indian Yoga-Dance-Story for Mind-Body Happiness”. 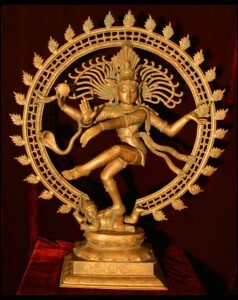 Laasyam means "Graceful Dance". She used the program to practice every day at home and she did not find a need for ANY OTHER program. She stood there calm and smiling. In an instant, Ms. Hope recognized the transformation power of the program and decided to meet the teacher and learn more about the program before enrolling herself and her other daughter. Your body is constantly working and you owe your life to its miraculous construction. While you may spend a lot of time focused on the fulfillment of your dreams, think about this for a moment. How would you be able to do anything if your body is not working, or if you are plagued by sickness? You may only think about your body when it is breaking down or when there is a problem. The good thing is by doing some fun, exciting, short, and not very time-consuming movements you can take care of your body, so that it stays working for you as long as possible. If you can give your body the priority it deserves, the possibilities are endless for you. You can achieve anything you can set your mind on, and the body will be there to support you, by fully co-operating with you. Your body will provide you abundant energy to achieve your goals. In fact, with a program like this, you will notice that you are energetic like when you were 16, while keeping your wisdom that you have earned through the years. Take your body, mind and your health to its highest level. For more than 10 years, people just like you have been enjoying personal coaching with Shanthi to live in their best health through mind-body training. For the best physical health, the best mental health is required, as the body and mind are connected. Merely working on the body while ignoring your mind (like most do), will not result in lasting health. It will be like going to the gym every day and working only on your chest and not on your legs. While every new technique out in the market makes tall promises, and it’s hard to know who or what is really the best for you, the power here is, this is not new. It may be new to you, but it has been TIME-TESTED for thousands of years, using ancient wisdom adapted to modern times. That is why “YogaLaasyam” is going to be the last program you need to test, try and enjoy for yourself. The practices adopted here are fun, easy and elevating. It is simple once you learn it and experience it. It is not just a video, recorded while teaching a class or while the teacher is doing. It is not a video after whose purchase, you are left to yourself, where the presenter does NOT spend any further time with you. This Home Study course is highly educational, fun, easy and one of a kind. Every possible mistake you might make while doing the poses, and how it should be correctly done has been demonstrated. Subtle points that will help you go deeply into the posture have also be shown. Benefits guide, instructions guide, training video, Mudra video and so on have been made available to make your learning thorough. If you simply follow all the directions, you should become confident doing them with eyes closed. Once learned, this program is aimed to make you do the practices independently, without being dependent on a teacher or a class, which you will not get even after going many times to a typical class. The whole sequence is conceived from scratch, though it uses existing postures as the base. Many Mudras (hand gestures) are used to depict people, objects, animals and birds, and to narrate the story. Since chanting in the Yogic language of Samskritam gives you amazing benefits, a new chant has been created to go with this sequence and included in the beginning. Though English version of the chant is available to ALL, Samskrit version is limited to those who know Samskrit pronunciation correctly. Dance is a minor stream of Yoga besides the 4 major streams that are explained in the video on top of this page. It is called Naatya-Yoga (Yoga of dance). So by adding elements of dance, authenticity is still maintained. The practice is NOT just exercises. The session begins with the chant, ends with meditation, has relaxation between postures, and has higher wisdom intertwined. So the 20 minute session is a complete day’s meal with a proper breakfast, lunch, dinner, and fun, nourishing snacks in between. In other words, a complete practice by itself. How many 20 minute Yoga practice sessions can claim this? The Mudra names are in the Yogic language of Samskritam. So their pronunciation and meaning are explained in a video. Since Yoga means “Union” with everything and everyone around, an authentic practice must provide the condition for realizing this. This video training spells out those thoughts to emphasize this universal connection. 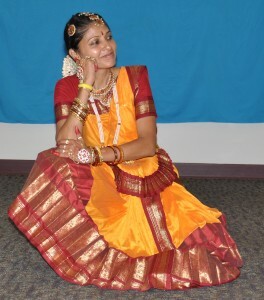 The attire used is appropriate for the dance style of Yoga. Additional clarity is given regarding the Do’s and Don’ts of right practice through a separate training video for each session, though it is being explained in the practice video. To enable you to feel the presence of a teacher and to make it easy for you to do the correct hand and leg position, the whole practice is done in the video as a mirror reflection of you, so that you don’t have to figure out which side the teacher does, and which side you have to do. To understand and assert the meaning of the chant, the English version of the chant exists. This is what is provided until you learn to pronounce the Samskrit sounds correctly. To understand the teaching points easily, visual images accompany every word, so that you use both auditory and visual means to learn. Providing simply a 1 hour video does not make it practical, because in the busy life these days, it may be hard to get an hour at a stretch to invest in yourself. So this training includes a 20 minute practice session, which is complete by itself as an authentic practice (Read more under Authenticity). In case your body does not allow you to do physical movements on a certain day, or you have less time, you can still do some practice whether it is the 2 minute meditation or the chant depending on how much time you have. Since every posture is an independent unit, you can choose any posture and do it on your own or follow that portion of the video. You can appreciate and practice on your own only if your understanding is thorough. So worksheets are provided to make it possible. Just by looking at the several bullet points above, you can understand my thoroughness. It is an artful way to do your Yoga practice. Never before would you have experienced Yoga poses this way. Your evolution is not just theoretical, but using audio, visual and kinesthetic media. Takes one from an unfulfilled and “something missing” state to a fulfilled and “Feeling complete” state. Balances the right brain and the left brain and allows for movement of the body . It is a blessing if you sit and work most of the day. You become objects and beings in nature like flower, peacock and snake, and feel their pulse through dance movement. Quality is NOT decided by how long a video is, or how many poses it has. It is decided by the result that the training produces on various levels. When you purchase other videos or training, you are left to yourself. The presenter does NOT spend any further time with you. 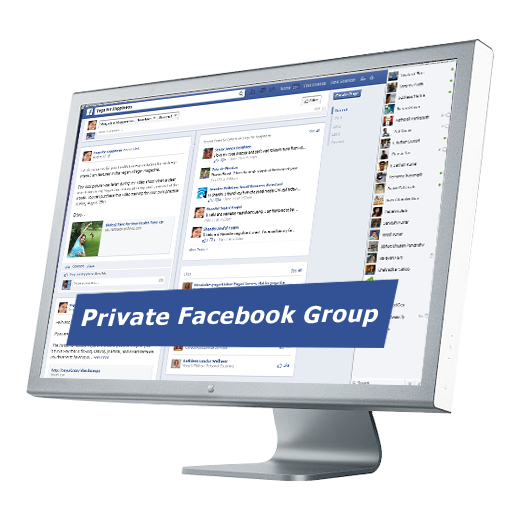 Here, further support is offered through private members-only forum and a coaching call. 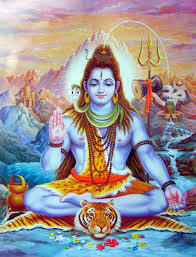 Lord Shiva, portrayed as the greatest Yogi is always in deep meditation. HE blessed Shanthi Joyful Yogini to be an instrument to shower HIS Divine grace on the thought-leaders and leaders-to-be on this earth through Yoga. 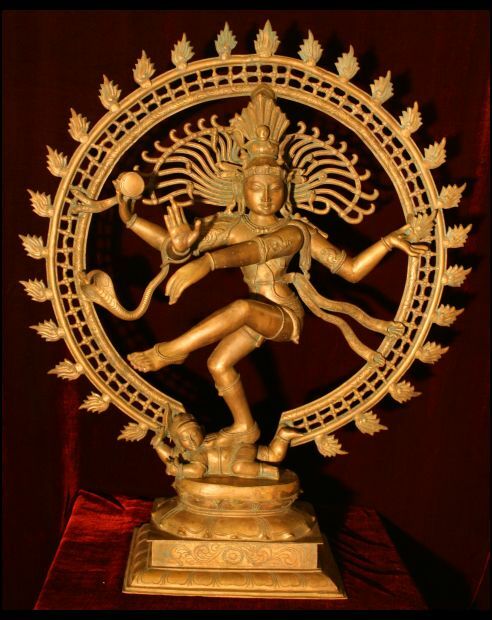 Lord Shiva manifests HIS joyous form through HIS cosmic dance and is then called Nata-raaja (The Lord of Dance). HE whispered to Shanthi the Dancer, to celebrate with the world through her dance. True to the DIVINE COMMAND, is the creation “YogaLaasyam” where in Shanthi brings both the Yoga and the Dance aspects of Shiva, to you. YogaLaasyam alternates between movement and stillness just like Lord Shiva who represents both movement and stillness through His two forms. What can be said of the combination of ALL? Experience and Enjoy this Ecstatic Experience…. When you access YogaLaasyam course, you’ll find it to be a robust multi-media health building experience. Your physical health will be strong and secure like the foundation upon which you will build everything else that is good in your life. As you master your health, your relationships, career, economics and emotional well-being will prosper as a direct result of the wise moves you make. This course is very detailed and thorough. So to ensure that you are doing everything as it is intended to be done, there is drip-delivery of the parts with an interval of 2 days between them. With this course, you are going to receive small portions of the training every 3 days that correspond to videos, MP3s extracted from the videos, and custom workbooks/reference guides. 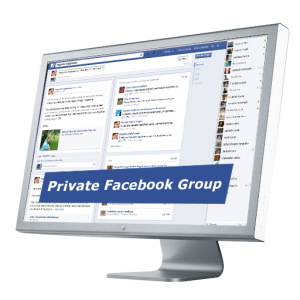 You will also receive bonus access to a private forum for continued coaching and support, lifetime access to the updates and a bonus live group coaching call with Shanthi. YogaLaasyam Home Study System has 4 Courses in it drip-delivered in 4 weeks. Immediately upon signing up, Beginner Course (Session 1) is sent. A week later, Intermediate Course (Session 2) is sent. A week after that, Advanced Course (Session 3) is sent. A week after that, Combined Course (Practice Videos from Session 1, 2, & 3) is sent. The practice video of individual sessions has a duration of 20 minutes each, while the combined session has a duration of 60 minutes. Videos, Audios and Workbooks that combine the contents from the 3 individual courses – Beginner, Intermediate and Advanced. Each course, when learned, can be practiced in under 20 minutes. The practice session begins with a chant that tells the benefit of this sequence. The story runs through the practice, giving meaning and purpose to each posture. While you relax between the postures, you receive pearls of wisdom as to what the elements of nature used in the postures teach you. Also, you are reminded about your connection with the universe. Then, you are guided through a brief 2 minute relaxation-meditation practice. In this course, you will receive the 3 ‘T”s based on the time-tested ancient wisdom through Shanthi, a rare Yogini, born and raised in India, the birthplace of Yoga. She has studied Vedanta(The basis for Yoga), Samskritam(The language of Yoga), and Indian dance (A minor stream of Yoga called “Naatya Yoga”). She has beautifully intertwined all of these through Storytelling that gives meaning to every movement in this video training. She takes you on a fun, unique and authentic journey of higher vibrations, starting from the physical body, meandering through mental, intellectual and social planes, and finally culminating in spirituality. This training is like NO OTHER and opens the door to your inner portals, the abode of TRUE EMPOWERMENT. Shanthi Yogini is 2-Minute Yoga Master who teaches Yoga, not as fitness exercises, but as a tree with several branches like meditation, songs, chants, values, and dance. Her simple 2 minute practices for positive-story-creation instantly change the stories we constantly tell ourselves and others so that we may live our greatest possible dream life. She is #1 international best-selling author of “Happiness: The Key to Success”. She offers training both online and in person. The Yoga practice and tradition have been passed down through generations to Shanthi. 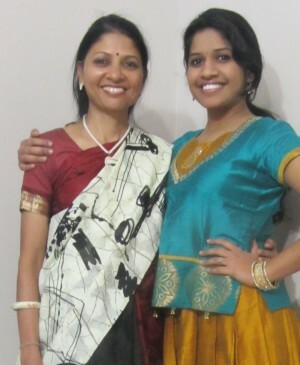 Yoga, Samskritam, Meditation, Dance, and Chanting have been her way of life since she was 5 years old. She experiences improved flexibility and stamina. She has enhanced her creativity, which has resulted in this YogaLaasyam training where she has combined her multiple skills into one. You deserve to have a vibrant and fulfilling life and it is worth many times what you will be asked to invest. With the amazing offer and the completeness of the package, even though the last portion of the course will be delivered to you on day 28, you will see results in the shortest possible time of just 21 days if you practice the contents diligently. So, go ahead and make a positive decision. Go ahead and make a happy move in your life by enrolling here right now. Add it to your cart and complete the transaction. Begin to benefit from the course right today. When you give just a little bit to the program, you will see results in 21 days. You will be a big winner. However since you have to be the judge here, try the program. Even though you will need only 21 days to see the results, you can get an entire month to practice the course, to put it through the test, to get on the private members-only forum and interact. Re-ignite the zest and passion in your life and order YogaLaasyam today. The videos, audios and workbooks give you the transformative content. Here you create Sat-Sangha with good, conscious like-minded company. Even though this training is as detailed as it possibly can, chances are that you still have questions or how to modify something based on your health condition. or perhaps you have questions NOT on this Home-Study Course, but about Yoga or applying Yoga to your life. Shanthi will answer you during the call. Whenever it happens, you will be notified of the call details. You can listen to the call through computer or phone. Through the 3 Cs, you are supported in every way possible for your healthy, harmonious and happy life. Learning and practicing is all that is left for you. During the coaching call, the salient points of the sequence will be given as a recap. Then the line will be opened for you to ask your questions live. You can also type in your questions during the call. The call will go on until every question is answered.